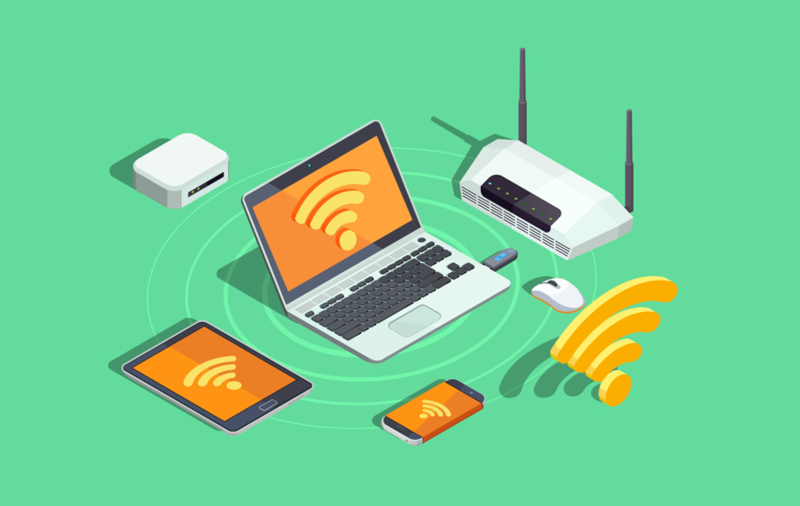 Let's take a look back at how wireless network technology has evolved. The fifth-generation wireless technology, a.k.a. 5G is slated to revolutionize global communications, data transmission, and the Internet of Things (IoT). 5G technology is geared toward fast-tracking data transmission for tablets, phablets, and online devices. The implementation of this new technology hinges upon state-wide legislation allowing for small cell deployment. The 5G infrastructure that is needed for this to function includes pizza box-shaped small cells comprising antennae and radio equipment. These are strategically placed on street poles, streetlights, buildings, and other structures. These small cell devices transmit data from one point to another, with low power consumption and maximum efficacy. There are multiple benefits to implementing 5G technology systems across the United States and beyond. For starters, there are low latency levels with this technology, and it is widely touted as the way of the future when it comes to public safety, patient care, transportation networks, and communication. The increasing interconnectedness of devices is the new normal. The IoT (Internet of Things) is continually evolving, and this necessitates a change in the way that these devices communicate with one another. One of the significant challenges in the realm of implementing 5G technology is regulatory change. At the state level, lawmakers will have to hammer out a new framework that no longer focuses on macro-cell towers. There is a myriad of concerns related to the implementation of 5G technology, notably its impact on property valuations, and the effect on the greater community. Will AI Dominate the Wireless Technology Systems of the Future? Researchers frequently blend ‘Sci-fi with Wi-Fi’ to conjure up possible wireless technology innovations. Northeastern University researchers, notably Professor Tommaso Melodia is working with researchers, engineers, and scientists to create artificial intelligence technology capable of serving as a bridge between the physical world and the online world. The Wireless Internet of Things hinges upon creating rapid wireless networks, sophisticated sensors, and AI constructs/machine learning systems to interpret the data that is being generated. This bold initiative will bring together industry experts in the form of computer engineering gurus and electrical engineering fellows. The wireless technology arena is a cutthroat field where high-tech companies and their research and development departments are racing to fast-track the provision of the next best thing. Legislation needs to be passed at the state level and at the federal level to deploy funding for the provision of wireless broadband technology. Several states have already laid the groundwork with small cell facility reforms, but the FCC needs to step up with best practice methodology standards for this technology to work. Nationwide, the 5G deployment hinges upon the FCC and BDAC. These departments are responsible for reviewing these processes. In a relatively short time, the world has witnessed the growth of AI constructs in the form of Siri, Alexa and OK Google. We have seen powerful advances in smartphone functionality, particularly the Android-based Samsung devices and the iPhone. The increasing interconnectedness (through the Internet of things) of our smart devices is no longer the stuff of sci-fi movies. Wireless technology is fast-tracking the development of drones for business purposes (deliveries, mapping, surveying, photographing, filming et cetera) via smartphone technology. We are also witnessing the widespread development of augmented reality games and virtual reality games. Augmented reality gaming juxtaposes software into the physical world, for example, Pokémon Go. 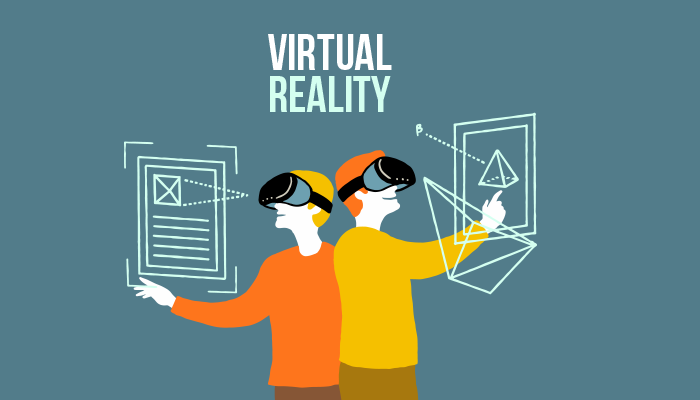 Virtual reality takes a user into a virtual world through sophisticated audio-visual hardware and software such as VR goggles (Oculus Rift, Samsung Gear). 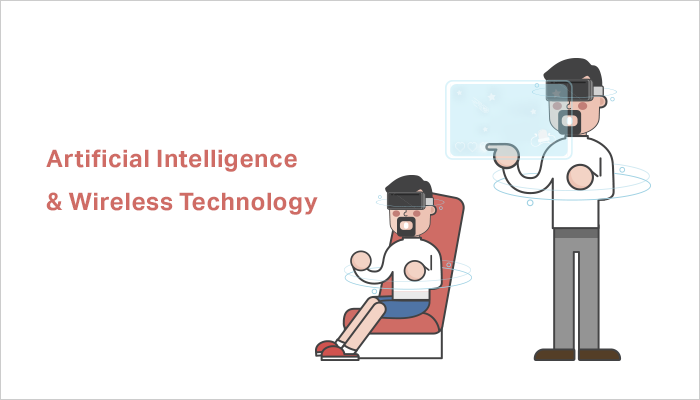 The popularization of virtual reality and augmented reality technology is driving down prices and allowing this type of wireless technology to enjoy greater adoption. As the barriers to entry are removed, more people get to enjoy the benefits of wireless technology. 5G can boost economic development and drive innovation dramatically. What began with 3G, rapidly evolved into high-speed connectivity through 4G. But now, 5G technology is the way of the future. It is geared toward artificial intelligence technologies such as self-driving vehicles, self-aware machines, environmentally aware technologies and so forth. The wireless technology of tomorrow is more than a series of complex ones and zeros; it's an ecosystem of interconnected global networks. 5G technology can replace home-based Internet providers and cable companies. This is a significant boost over current technology. As far as entertainment goes, 5G is sure to set the cat among the pigeons. Traditional 3G, 4G and Wi-Fi connectivity are already available across the online gaming network with interactive, multi-player games. Online gaming hubs will likely be licking their lips at the prospect of upgraded technology which makes their services readily available to players anywhere and everywhere. The most significant effect of 5G on gaming will take place in the spheres of virtual reality and augmented reality games. 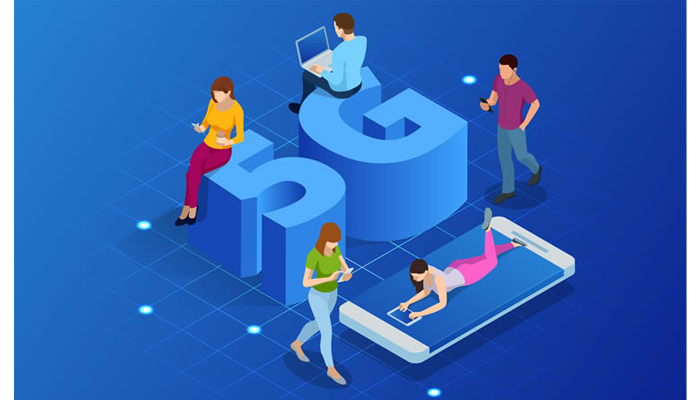 For starters, there is a widely held perception that 5G will enhance battery performance and rapid-connections to the Internet of things. High bandwidth is required for VR and AR, but 5G can likely improve the operational capacity of this technology at 8K, 90 frames per second. This means that your next session of interactive shooter games and mobile casino games could be delivered with impeccable quality, near-zero latency and rapidly upgraded network speeds. Nobody knows for sure, but it is possible that 5G technology will facilitate the connection of up to 1 trillion devices by 2028. The higher the interconnectivity, the more effective the technology, and the lower the cost. 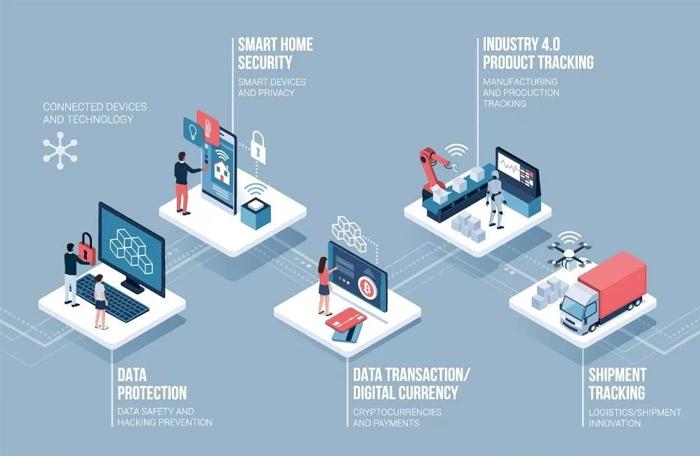 There is no limit to the number of potential devices that can be connected to the IoT. The difference between Wi-Fi connectivity as it is right now and 5G is that no Wi-Fi connection is needed with 5G devices. All that's required is the presence of a cellular signal. It means that unlimited connections can be hooked up via the hardware, with no slowdown evident in the ultra-fast connections. For those wondering when we will likely enjoy the benefits of 5G connectivity, it takes time to set up the infrastructure for 5G networks. Plus, there’s the statutory compliance that is required too. Notable changes will be evident once the entire 5G ecosystem is up and running. Granted, it is always going to be a work in progress since more smart technology systems are expected as we advance into the future. 5G will transform a smartphone into an Einstein phone, and once the ecosystems are fully developed, cellular technology will be able to effect innovative change in the economy, in the number of start-up companies getting up and running, and ultimately create NextGen fixed wireless technologies. All the typical high-tech jargon words such as disruption and innovation are going to be witnessed first-hand once 5G kicks in. The effect of 5G technology on IT is unknown. We can surmise that a combination of opportunities and threats will be presented with 5G technology, and this paradigm shift will impact most everyone. An unprecedented and massive scaling of hardware is needed, and this requires substantial investment by stakeholders and operators. Dubbed a ‘fundamental change’ in the network architecture of global telecommunications, we will see a host of virtualization technologies kicking in. Imagine data volumes 1,000 X greater than we are currently used to, with no impact on performance. This burgeoning technology promises low latency levels, rapid data transfers, and an ambitious objective of 100% coverage. As it stands, the available technologies for 5G are not sufficiently developed and are as yet unknown. Contrary to popular opinion, there are alternatives to 5G technology in the form of Weightless-N and LoRA, especially with regards to the Internet of things. For now, all the focus remains on 5G and its substantial connectivity possibilities. We hope you liked this article on the topic of wireless technology and its future. Also, in case you are interested in reading more such informative articles then make sure you follow MobileAppDaily. To never miss another update from the mobile app industry, make sure you click on the ‘Subscribe’ and get trending tech updates. PREVIOUS What To Do If Your iPhone Has Connectivity Issues? Have you ever imagined about the life of a visually impaired person? I know, it’s really difficult to feel the pain of people who cannot see the world around them. Fortunately, an app ‘Be My Eyes’ which was already available for iOS has also been rolled out for the Android version.